Climate is the average weather in an area over many years. While the weather can change over a few hours - for instance due to storms, rain etc. - climate change is a large scale, long term shift in the planet’s weather patterns or average temperatures. Climate change can be due to natural processes such as solar or volcanic activity, or human-caused changes in the composition of the atmosphere. Concerns over climate change have been very much in the headlines in recent years and there is a strong scientific consensus that the global climate is changing and that human activity is significantly contributing to this trend. This consensus was confirmed by the WMO/UNEP Intergovernmental Panel on Climate Change (IPCC) in September 2013, when it finalized The Physical Science Basis volume of the Fifth Assessment Report (AR5). Are oceans taking the heat? The IPCC stated that ocean warming dominates the increase in energy stored in the climate system, accounting for more than 90% of the energy accumulated between 1971 and 2010. It is virtually certain that the upper ocean (0−700m) warmed from 1971 to 2010, and it likely warmed between the 1870s and 1971. 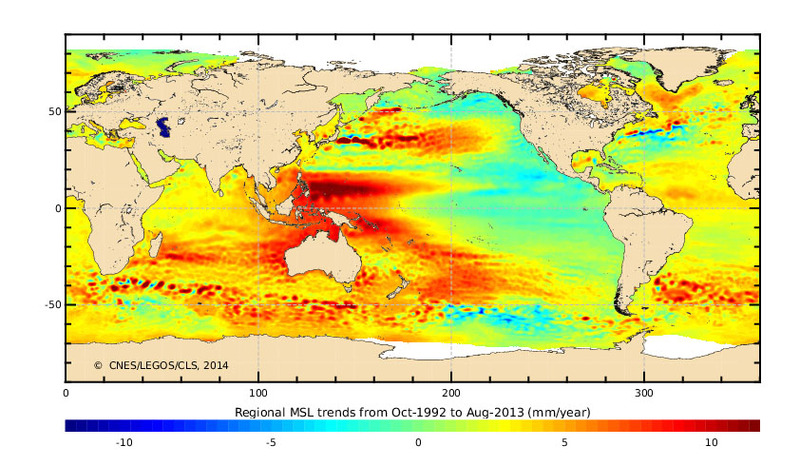 The global ocean will continue to warm during the 21st century. Heat will penetrate from the surface to the deep ocean and affect ocean circulation. Scientists are continuing to investigate how the climate may respond to rising atmospheric levels of greenhouse gases over time and in the various regions of the world and satellites have a key role to play in these studies. Europe’s Meteosat weather satellites have been collecting data for climate monitoring since 1981, building up in the process one of the longest time-series of climate data collected by satellite in the world. These observations are of albedo, water vapour, cloud properties, winds and to some extent also rainfall. In 2004, the first of the Meteosat Second Generation satellites began collecting data and expanded the range of climate data to include sea surface temperature, snow cover, vegetation cover, and fire. While the Meteosat satellites collect constant data from their viewpoint 36,000km above Africa, Europe’s Metop- A and B satellites orbit the globe roughly from pole-to-pole and so are able to collect global data for climate monitoring. 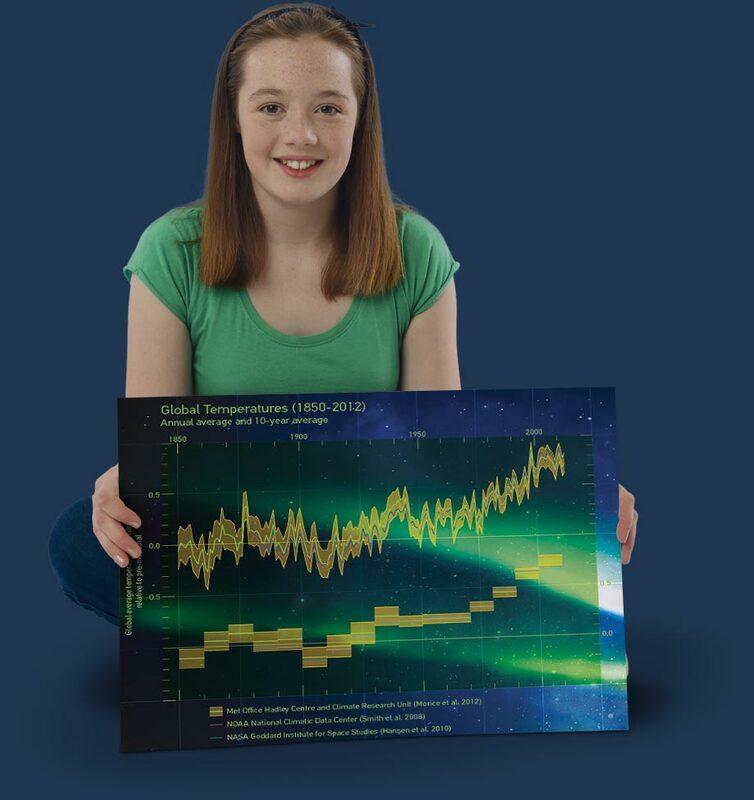 Examples of climate-relevant data collected by Metop’s onboard instruments include sea surface temperature, greenhouse gases such as ozone and methane, temperature, humidity, winds, and sea ice. The Jason-3 ocean monitoring satellite collects data on sea level, wind and significant wave height. By monitoring a range of so-called “Essential Climate Variables” satellites support the work of the United Nations Framework Convention on Climate Change (UNFCCC), WMO and Global Climate Observing System (GCOS). 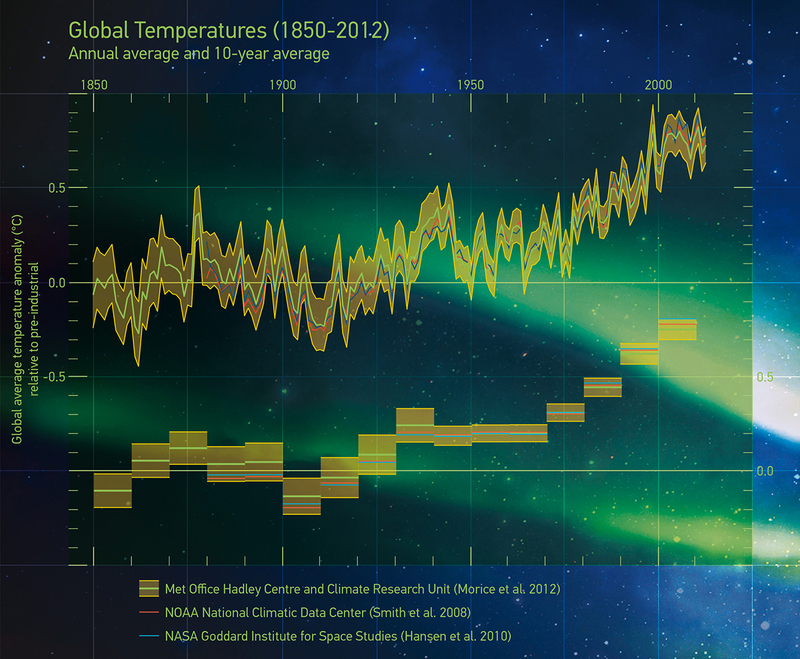 If you'd like to know more about monitoring the climate with satellites, check out this online training module from MetEd (requires free registration). How can you compare data from new satellites with data from older satellites? Before data collected by a satellite can be used to help detect climate trends they have to be recalibrated and cross-checked, so they are consistent with data from other satellites/instruments in the same time series. In many cases, however, satellites carry instruments that have previously been carried onboard older satellites so it is easier to compare data across the years. One long-running example is the AVHRR instrument that has been onboard satellites collecting data, such as global sea surface temperature, since 1979.